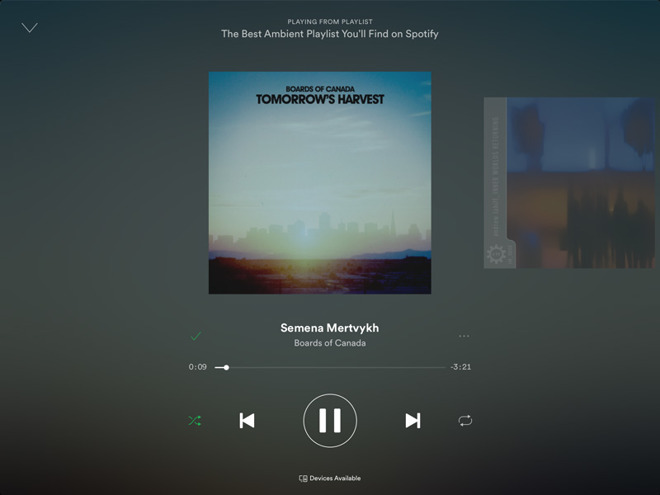 Spotify on Friday launched a promotion offering 12 months of Premium streaming for $99 —a little over $20 less than the music service would normally cost going month-to-month. The sale expires on Dec. 31, and is available only to people starting or extending an individual plan. It also can't be paid for through gift cards or prepaid cards, which limits its potential as a holiday present. It may nevertheless prove a competitive weapon against services like Pandora and Apple Music. The latter has been offering $99 annual subscriptions since last year, though only by diving into subscription settings or buying a gift card. Typically an Apple Music subscription costs $9.99 per month —the same as Spotify's monthly fee. Spotify is also currently selling three months of Premium for $9.99, though not to anyone who canceled a subscription after Oct. 20. Premium users get ad-free listening, offline caching, and access to higher-quality streams.